Yesterday was a big day for me; yes it was Halloween, but it was also the first time I ate chocolate in 30 days! I took a mini challenge at the beginning on October to give up chocolate for the month, my only day to eat chocolate in October was Halloween. So last night I bought my stash of chocolate with the intention of having a big night of chocolate indulgence. I eagerly opened the bar of Dairy Milk and took my first bite, and found not a feeling of overwhelming chocolate bliss, but a tasty yet underwhelming feeling. I obviously ate a bit more chocolate to see if my mood improved, but alas I still found the usual feelings of joy that I tie to chocolate were not present. I was obviously a little disappointed as I have been having a couple of chocolate shaped dreams and am pretty sure I had a few chocolate hallucinations during my 30 days of chocolate fasting, however I am also wondering if I have kicked my chocolate habit? Have I managed to disassociate the feeling of joy that I relate to chocolate? 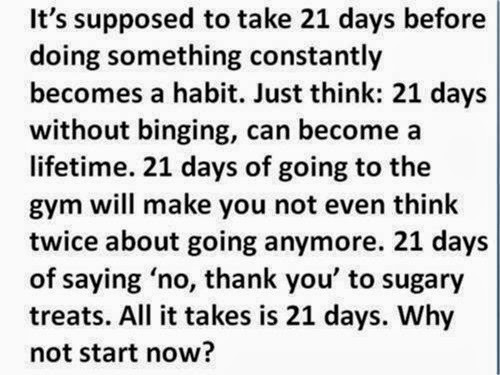 After all they do say it takes 21 days to create a habit, so surely after 30 day I should be “cured”? I am hoping that I have managed to get rid of the chocoholic monster that lived inside me, the one that would crave it and not stop thinking about it until I had scoffed a whole bar. So after having a night of chocolate indulgence (which wasn’t as great as I thought it would be) I am now pledging to continue to not eat chocolate for the whole of November. Surely after pretty much 2 months of withholding from chocolate I should have kicked my chocoholic habit, and don’t worry I’m not punishing myself! I found that I did not miss chocolate as much as I thought I would. There was only one day in the whole 30 days that I would of stolen chocolate from a small child and gobbled it all up if I knew I wasn’t letting myself down. So this is where this blog post comes in. 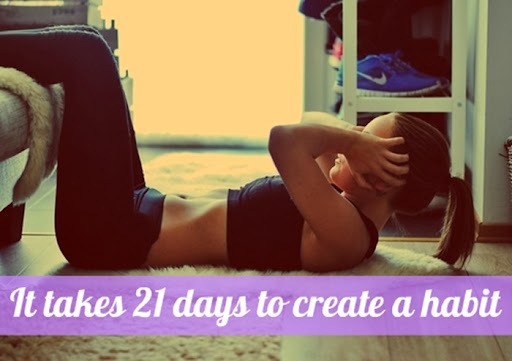 It supposedly takes 21 days to create a habit. So what do you want to change? What would you want to be a habit of yours in three weeks time? Do you want to be able to go for a run with ease? Do you want to give up smoking? Do you want to have breakfast every morning? Do you want to give up your crisps addiction? Do you want to get 8 hours sleep a night? What ever you want to do have a serious word with yourself and make it happen! If you think you can make it for a month challenge yourself! Think about how much better you will feel afterwards! For November I am giving up chocolate again and I am also giving up takeaways. That mean no chocolate, no chocolate flavoured snacks, and no Indian takeaways, no pizzas, no hungover McDonalds! Go on challenge yourself! it’s only 3 weeks! Are you going to join me? What are you going to challenge yourself to do for 21 days? Let me know! Go check out Kim’s lovely blog full of beauty, fashion and lifestyle – PeachyPowderPuff.co.uk I love her frequent and great mix of posts. Great post!! I'm always going through phases of doing regular exercise! Going to make myself stick to it for 21 days now in the hope that it'll become easier and I won't lose all motivation! It's so much harder in the winter!